As a pain management physician, Dr. Daniel Batlan works with his patients to relieve, reduce, or manage pain. 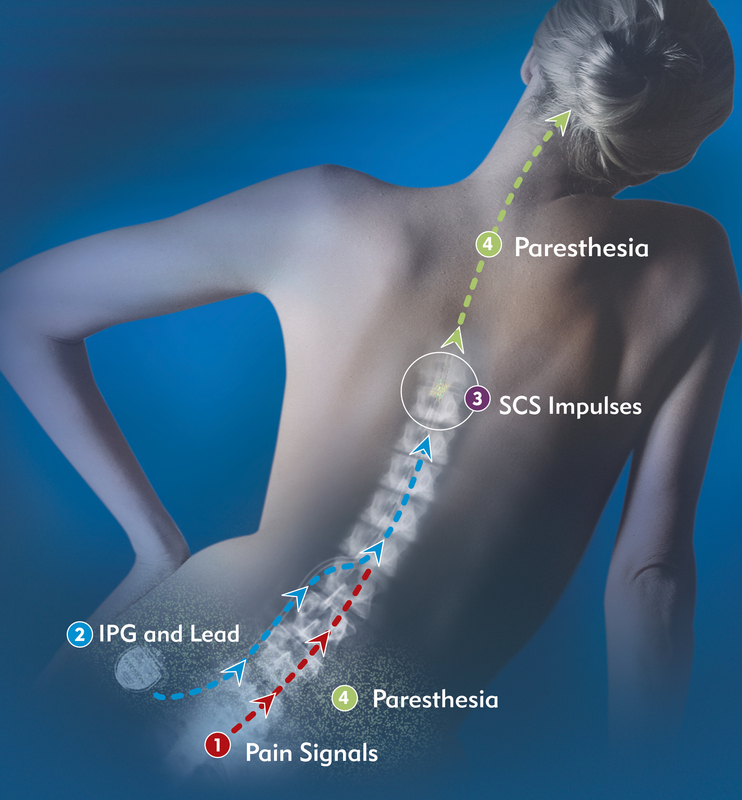 Among the most highly advanced pain control modalities is spinal column stimulation (SCS), a method that interrupts pain transmission, thus reducing or eliminating the perception of pain. Question: Please explain the basics of spinal column stimulation. Dr. Daniel Batlan: A spinal column stimulator is a small implantable device with a transmitter placed under the skin of the abdomen or buttocks, with leads that connect to the spinal column. After the device is implanted, the transmitter or stimulator sends electrical pulses along the leads to the spinal column, effectively interrupting pain signals. Question: What can a patient expect when you implant one of these devices? Dr. Daniel Batlan: The implantation is a two-part process. First, I want to be certain the device will effectively manage the patient’s pain, so I insert two small wires into his or her epidural space and attach an external unit. Then I have the patient use the device for several days to see how well the treatment works for them. If it is successful at reducing pain after several days, he or she can have the permanent stimulator inserted. The permanent device is implanted entirely underneath the skin, allowing the patient to resume virtually all of their normal activities. Question: Who can benefit from this type of device? Dr. Daniel Batlan: The device often works well for patients that have undergone previous spinal surgery and experienced no relief of pain relief. It also may be effective for patients who have tried a variety of management techniques and nothing works for them. Patients who are not surgical candidates or who do not wish to undergo surgery may also do well with these devices. Finally, spinal stimulation is also effective for selected patients with neuropathic pain, such as Reflex Sympathetic Dystrophy [RSD] and other causes of neuropathy. Question: What is the efficacy of the treatment? Dr. Daniel Batlan: I have had patients tell me it is life altering. In my experience, it provides relief to a large number of patients, eliminating 50 percent or more of their pain.